I am very proud to present the promotional video for what is likely to be one of the worlds most exclusive ladies handbags. Made in Sevenoaks, England. Enjoy. 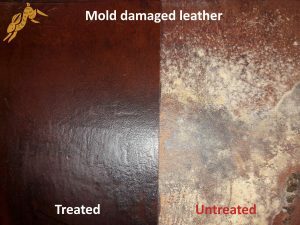 I am pleased to announce that after a few months of development I have launched my own unique formulation leather wax. 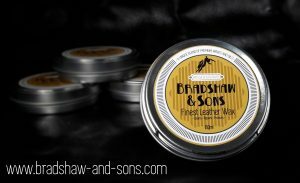 It is now available to buy on Amazon here: https://www.amazon.co.uk/Bradshaw-Sons-Leather-Wax-Tree/dp/B075VJCHS3 (hint, hint). I have been making leather goods for years and am about to launch my own leather luggage company later this month (details shortly). However, my first product, which is receiving a rather more subdued launch, is my own formula leather wax. What’s unique about it is that is features tea tree oil and coal tar as core ingredients (along with a mix of premium waxes and oils). These naturally antiseptic and anti-fungal ingredients help to naturally protect leather goods even in long-term storage – think; motorcycle leathers, hiking/football boots, sofas, bags & luggage. 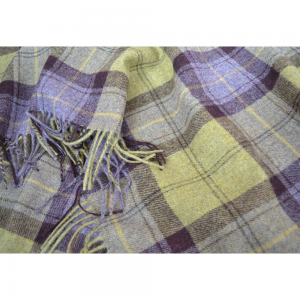 It also waterproofs, cleans and brings out a beautiful shine without leaving any plastic-like coatings. Not bad eh? I have been using a variation of this formula for a long time but have recently refined (and written down) the formula. I think it is great stuff… hopefully others will too. While most leather treatments on the market are marked ‘made in Germany’ this one (as you might imagine) is proudly made in the UK. So, if you have any leather goods that are looking a little worse for wear… remember to buy British. 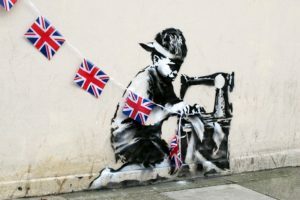 I am well on my journey to become a British manufacturer! We are taking a short break from regular blogging about our effort to buy British. This is mainly because James is putting a lot of effort into become a British manufacturer himself. Having been inspired by the stories and dedication of the 100’s of British manufacturers we have met, James is putting a lot of energy into designing a range of leather goods that are 100% made in the UK. After a few delays in the process thus far, the results of his efforts should be ready for all to see this Summer. James hopes to launch his new venture with a Kickstarter campaign and hopes that our supporters will continue to support this new venture. Harvey in the early days. Setting up a factory was a strange thing to be doing in Britain twenty years ago. Back then, the heart of the country’s industry was still being packed up and shipped overseas by companies searching for savings at any cost. I could have done the same. Outsourcing my whole production line abroad would have made things cheaper, sure – I wouldn’t have needed to build a factory for one thing. I wouldn’t have needed to pay engineers, designers or production staff. I could have just imported cheaper products and then sold them on. It would have been much ‘easier’ in lots of ways, and that’s what was so wrong. You see I didn’t just want to build a manufacturing business for me, and I certainly didn’t want to do it at the expense of my own community or country. Especially when the people I needed with the skills and expertise to help me make the best softeners were all around me here at home. After selling US-made products during the ’70s and ’80s, I knew through experience that the best way to build products for British homes with British plumbing was to use British plumbing expertise. I was a plumber by trade, and by making our products right here I knew we’d always be able to stay in control of product quality. I’m all for the free market, don’t get me wrong. It can help the best rise to the top. But with that power to deal freely with the world’s markets comes a responsibility, I believe, on the part of the entrepreneur to not make business decisions that negatively impact on their local areas. The place they call home, pay taxes and use public services. That’s just me, anyway. 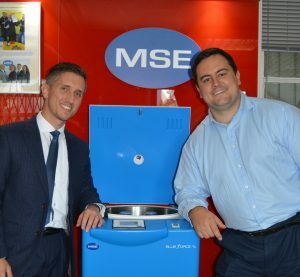 I knew what I wanted to do; build the world’s best water softener. And I wanted to do it here in Britain. 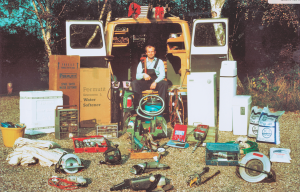 I had the idea – the world’s first twin-tank softener that would fit underneath a kitchen sink – but it was the people around me who helped turn that idea into a reality over the next two decades and create the business we’ve got today. We now employ almost 200 people from our local area in Woking, and we’re still growing. 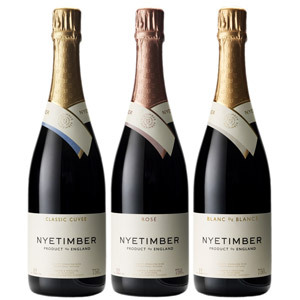 The fact that we are a British manufacturer has been great for business, especially over the last five years. To many of our UK customers, where their products come from and how they’re made is more important now, than ever. Our sales abroad have increased in recent years too. In the eyes of our European customers, our ‘Made in Britain’ accreditation stands for quality, performance and satisfaction, and that’s no accident. British manufacturing has come a long way since I started out. Companies now can do things here that were beyond imagination just twenty years ago and the few things that we had to buy from overseas in the early days have since been ‘reshored’. 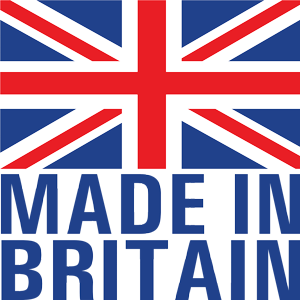 This means that, as of 2014, our softeners are made entirely in Britain – with all components now made on site on in this country too. A long-held wish come true for me. However, manufacturers still account for less than 15% of the UK economy, so there’s much work still to be done. We’ll carry on doing our part, making softeners here and helping more households to experience the many benefits of soft water; longer-lasting appliances, cheaper bills, fewer products to name but a few. I’m proud to be making in Britain, and I hope that more companies carry on doing the same. 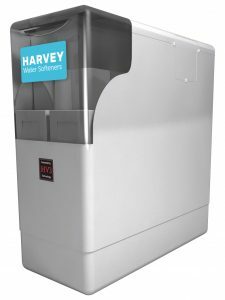 Harvey Bowden is the founder of Harvey Water Softeners – click on the link to find out more about their three-month water softener trials.